Children's car seats, dubbed "killers" by trading standards officers, have repeatedly appeared for sale on online marketplaces, Which? has warned. The consumer group said the fabric seats, which can cost as little as £8, offered almost no protection in a crash and were illegal to use in the UK. The online sites - Amazon, eBay and AliExpress - all said they had removed the seats from sale. But Which? said the listings should have been deleted quicker. Which? said the seats had been described online as suitable for children from newborns up to the age of five. However, in 2014, Surrey Trading Standards had conducted tests on a fabric seat which fell to pieces in a 30 mph accident. The crash test dummy of a three-year-old child was flung through the windscreen when the straps securing the seat failed. Trading standards officers dubbed them "killer car seats" and removed dozens of them from sale. Which? said they lacked the support needed to protect babies and toddlers. However, the consumer group said that they had repeatedly re-appeared for sale on online marketplaces ever since. 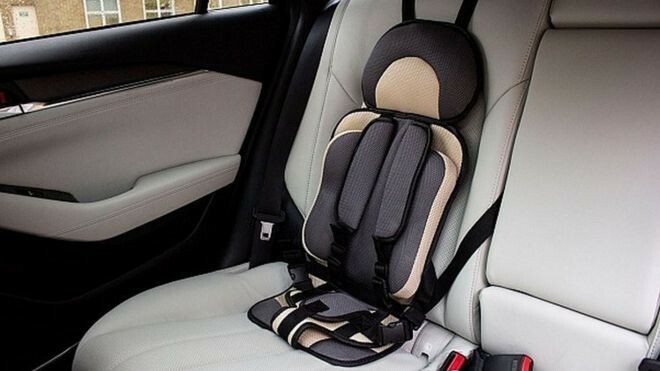 Alex Neill, from Which?, said: "Parents will be horrified at the thought they could be unwittingly putting their child's life at risk with one of these 'killer' car seats. Online marketplaces cannot continue to turn a blind eye to dangerous and illegal products being sold on their sites." Regulations state that only EU-approved child car seats can be used in the UK. Consumer groups suggest car seats should never be bought secondhand, as they could have been involved in an accident but damage to the seat may be unclear. Sales site eBay told Which? That it had asked the sellers involved to contact the buyers to organise a return, and to pay for the return shipping. "Our specialist teams work with regulators and Trading Standards to ensure our block filters stay up to date, using sophisticated software that monitors billions of listings a day to remove any prohibited items," an eBay spokesman said. Amazon said "All sellers must follow our selling guidelines and those who don't will be subject to action including potential removal of their account. The products in question are no longer available." A joint undercover investigation by Which? 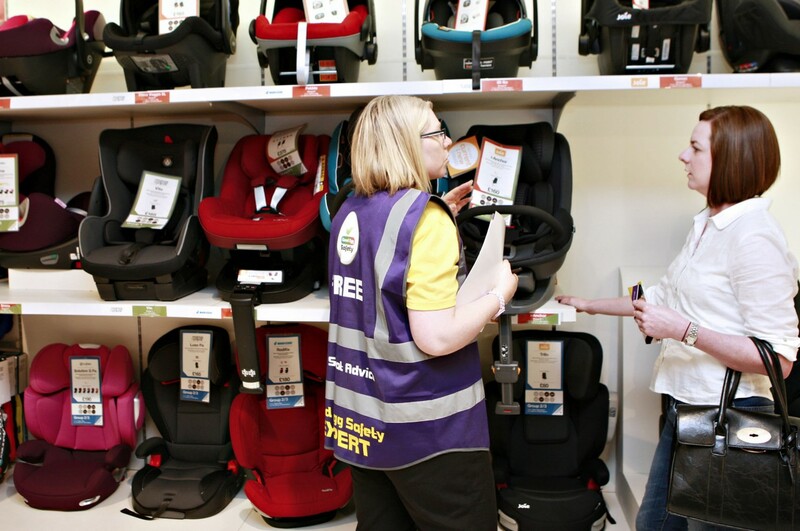 and Good Egg Safety into car seat retailers has discovered most stores are failing to ask key safety questions of parents, potentially putting children's lives at risk. We sent mystery shoppers into all the top car seat retailers. They were posing as parents upgrading a baby car seat. We visited 213 stores in total and, judged against a success rate of 100% for asking all the right questions, we saw an 89% failure rate. John Lewis and Mamas & Papas came bottom with what we judged to be a fail rate of 100%. This means that none of the store staff at their stores correctly asked all of the key questions (listed below) before recommending a car seat (though half of John Lewis branches that were visited did achieve a score on our scale of between 80 and 91%, only missing out on a few questions). Only three Mamas & Papas stores scored more than 50% on our scale. Halfords performed best of the retailers we visited, but still had an 83% fail rate overall against our scale. Halfords stores in Scotland scored best: 13 (38%) Halfords stores out of 34 in Scotland passed with 100%. In England/Wales, two out of 52 Halfords stores also got 100%. Car seats - which retailers are best? - Find out who came out top and how other retailers, including independents fared. Our mystery shoppers visited retail stores in Scotland, England and Wales, across all the major car seat retailers: Halfords, Mothercare, Smyths, John Lewis, Mamas and Papas, plus a range of independent retailers. What's your baby's weight, height and age? Many baby car seats are chosen by weight or height, and keeping a baby in a lower group seat is considered better than moving up a seat too soon. 95% of stores we visited asked the age of the child rather than the child's weight or height. Age is a starting point, but it's not the best way to select a child car seat. Asking the child's weight and height, too, will help to ensure the right car seat can be recommended, especially if the baby isn't with you. Not all car seats fit in every car, so it's vital that staff ask this question to ensure they can select the correct seat. However, 18% of assistants we questioned didn't ask what car the seat would go in. Will you be using the car seat in any other vehicles? Assistants should also be asking about any other cars the seat will be used in, to ensure any car seats recommended will be compatible. 54% of those assistants we visited completely missed asking this question, but went on to recommend car seats anyway. 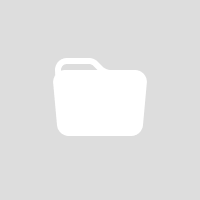 Does your car have ISOfix connectors? Almost a third (29%) failed to ask if the car had ISOfix connectors. If a car does not have Isofix connectors, this will affect the seat recommendation. Does your car have a top-tether point? Not all cars have a top-tether point. Just over a third of visits (34%) didn't mention top tether when discussing ISOfix. This could affect which car seat should be recommended. Does your car have underfloor storage? A whopping 81% of those sales assistants we visited failed to ask if the car had underfloor storage, which could lead to the wrong car seat being recommended. In some cars, a child car seat using a support leg, can't be used in a seating position with underfloor storage. However the majority of assistants did not mention underfloor storage at all or give advice about why this could be an issue. Not all ISOfix seats are compatible with all ISOfix cars. If an ISOfix seat was recommended, the manufacturer fit list should have been checked by sales assistants to confirm compatibility. 10% didn't do this check. A demonstration of how to fit the car seat is vital as it allows parents to see what they are buying and ensure it's the best car seat for them, their car and their baby, but nearly a quarter (23%) of assistants didn't offer this. Our mystery shoppers were posing as parents upgrading from a baby car seat to the next stage. But, despite this, 20% of sales assistants didn't explain the benefits of keeping babies rear facing for as long as possible. Turning a baby forward facing too soon is a potential safety risk. What's most disappointing is that these safety failings aren't the first we've seen. Which? investigated car seat retailer fittings in 2011, 2012 and 2014. In each of those years we received similarly shocking results which were fed back to retailers. In our 2014 investigation, nine out of 10 retailers failed our car seat fitting tests and promised to follow up and improve the situation. Jan James from Good Egg Safety says: "These are extremely disappointing results. Following last year's independent checks commissioned by Good Egg Safety, we shared all of the information with retailers in our national joint industry group meeting. They were given the information in great detail and understood the methodology. Nothing has changed, nothing should be a surprise. It is evident retailers have a genuine interest in improving their advice in-store by attending our meetings and we have always stated that we'd prefer parents to buy in a store than online. That is still the case. One of the main issues, however, is sales assistants are not completing a safety assessment form at the point of sale. In a busy store, with children, ear pieces and myriad distractions;without a consultation form, some of these critical questions are being missed. We see the results in our child car seat events where almost 70%, on average, are incorrectly fitted to either child or car." Lisa Galliers, Which? car seat expert says: "Years on we really shouldn't be seeing results like this. Retailers continue to put babies lives at risk by failing to ensure car seat salespeople are asking the right questions and giving out the best advice and recommendations for car seats. Retailers say they're offering training, and I've been on some of these training courses, but something is clearly still not filtering down to the shop floor. That needs to change. We've offered to meet with all retailers involved to help them improve. We carried out our mystery shop in partnership with Good Egg Safety, an organisation that champions car seat safety and runs regular mystery shops and car seat checks carried out across the UK. Its last mystery shop, in 2017, recorded a nine out of 10 failure rate." We want to see all sales assistants selling child car seats using a 'Safety Assessment Form' and we want to see parents asking for this to be used. This lists all the key questions that need asking, so that no vital safety information is missed. Some retailers say they have these forms, but 86% of of the store staff we mystery shopped did not use one - the results could have been a lot different with this simple check in place. Until this happens we'd encourage all parents to download our 'seat buying check list' and 'retailer safety assessment form' to take with them when buying a child car seat. In one of the largest car seat mystery shops, 213 retail stores were visited in total, divided across 10 different areas of the UK. These included all the major car seat retailers: Halfords (86), Mothercare (52), Smyths (36), John Lewis (12), Mamas and Papas (7), plus range of independent retailers (20). The number of visits to each retailer (indicated in brackets) were a snapshot based on the number of stores across the UK offering car seat fitting. The salesperson at each retailer was marked according to how many of the applicable key safety questions were asked. The questions, developed with car seat industry experts and car seat manufacturers, were all rated equally. Retailers were marked with a 'fail' if a question wasn't asked, or there was no understanding of the topic demonstrated, or the store staff simply didn't explain why they hadn't asked that question. Good Egg Safety has been in the business of saving children's lives for seventeen years. Supported by the Arnold Clark Group, they lead the way nationally in car seat safety, and in monitoring the retailers who sell these seats to parents. In 2017 their latest car seat checks showed that, over the last eight years, there has been a 47% increase in the number of child car seats found to be incorrectly fitted, at the same time that child casualties are on the rise. Children's car seats can be quite expensive items and parents mainly trust advice from car seat retailers, on how to fit them properly. Alarmingly some retailers are continuing to fall short in providing this vital support. More than 9 out of 10 retailers failed these tests in 2017 from a sample of 146 stores, even though this vital advice is freely available through Good Egg Safety, a community interest company which specialises in making our roads safer. Parents are being encouraged to download Good Egg Safety's free new parents' checklist. This outlines all the questions parents need to have answered in order to be more confident that the seat will protect their child as intended. "We have been relentlessly campaigning for greater in car child safety for over 17 years and it is of major concern that we are still finding major errors in child seat fitting in our free car seat clinics. The difference between a correctly fitted seat which is compatible with the cars it's used in and fits the child who will use it, could literally mean the difference between life and death for that child in the event of a collision. This reality was recently brought home last week when a child was saved from serious injury in a dreadful crash in the south west, by being secured in a correctly fitted seat." Good Egg has founded a joint industry group of leading retailers, child seat manufacturers and road safety organisations and all these results have been openly shared with them to help drive change. More mystery shops are being undertaken by independent testers who have no commercial links to retailer training, to establish whether the increased retailer focus on training provision is working. Jan added "it is clear that the retailers represented in our national industry group care deeply about this issue and costly training can seem like a luxury in the face of other business challenges.But it's not a luxury, it is essential to help save lives, and we are calling for the government to endorse the need for child car seat specialists to be fully accredited." "It's important that parents get the right advice when it comes to choosing a child's car seat to ensure children are well protected, should a crash occur. 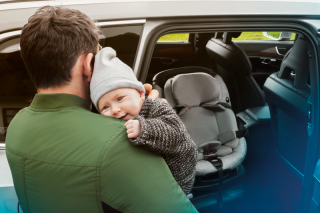 Retailers have a duty of care over their customers and should always put safety and quality at the forefront of their minds when talking about and fitting child seats into a vehicle. We would encourage all parents to do their research, and make the most of tools like Good Egg Safety's free parents' checklist, to make an informed decision when buying a car seat for their children." "As long-term supporters of the Good Egg initiative, Arnold Clark is committed to promoting in-car child safety. This disturbing statistic shows that it's more vital than ever to educate people about the correct way to fit car seats and we are fully supportive of Good Egg's efforts to monitor retailers and spread the message that in-car child safety is of paramount importance"
i-Size is part of the latest child car seat regulation ECE R129 that will launch in three phases. Phase 1, is for children up to 105cm and includes an integral restraint, such as a five-point harness launched in 2013. Currently, this regulation is running alongside child car seat regulation ECE R44.04 which is an older yet still valid car seat safety regulation. Eventually, ECE R129 will phase out ECE R44 and be the only legal child car seat regulation, however a definite date is yet to be confirmed. ECE R129 will eventually become the only regulation that you will be able to approve a car seat to. However, older models of R44.04 car seats will still be legal to use. The primary goal of ECE R129 (i-Size) is to keep children safer in the car, by making child car seats easier to choose, fit and use. Under the older R44 regulations, children can legally forward face in car seats when they weigh 9kg. However, with R-129 this is not the case, and children must be rearward facing until 15 months in i-Size seats. This is because it is a safer way to travel, and it is recommend to keep your child rear facing for as long as possible. This is because young children are at most risk of neck and spinal injuries in the event of a collision due to the size of their head in relation to their body and their developing muscles and bones. This makes them much more vulnerable to serious injury than older children and adults. i-Size seats require children to be rear facing to at least 15 months old, a point when a child’s neck is stronger and more able to cope with the forces applied during an impact when facing forward. i-Size addresses the frequent problem of compatibility between R44 regulated ISOFIX car seats and many vehicle makes and models. From July 2013, car manufacturers were able to have i-Size seating locations approved. Although in the first few years only a few cars had this feature, today nearly all newly designed cars have i-Size seating positions. You can identify i-Size seating locations by the label on the vehicle seat or in the vehicle handbook. The benefit of an i-Size approved seating position in a vehicle, is that an i-Size car seat is automatically compatible. You can still use an i-Size car seat in a standard ISOFIX car, however you must always check the vehicle compatibility list first. ECE R44 child car seats are defined by a child’s weight. An approximate age is often also stated but this intended as very rough guidance only. However, this combination does sometimes cause confusion and can lead to a child being moved to the next stage child car seat before they are ready and their safety can then be compromised. 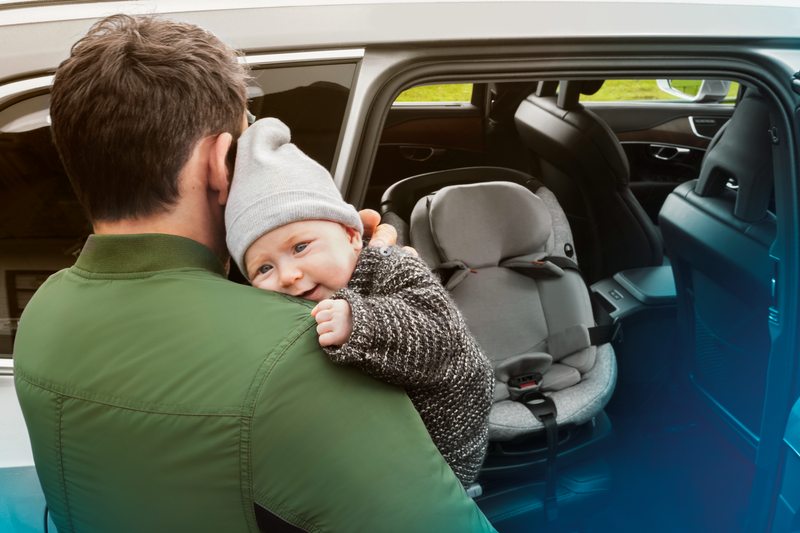 i-Size makes it simpler for parents to get the selection right as it is defined by the height of the child and mandating rear facing for the first 15 months. A maximum weight limit will also apply to each child seat and this will be shown clearly approval label attached to the product. R129 i-Size car seats are selected by the child’s stature. i-SIZE restraints are selected by your child’s height, and each i-Size seat will carry an individual maximum child weight limit. R44 child seats will continue to be chosen by weight, stipulated by defined “group stages”. You may be surprised to read that ECE R44 does not require child car seats to undergo a side impact test. Although not legally required, some manufacturers already do this but it is not apparent to the consumer from the ECE R44 product labelling. To ensure an enhanced level of safety and clarity, all i-Size child car seats undergo a rigorous side impact crash test and so provide a high level of protection in the event of a side impact. i-SIZE phase 1 specifies that child seats must be installed with the ISOFIX mounting system. 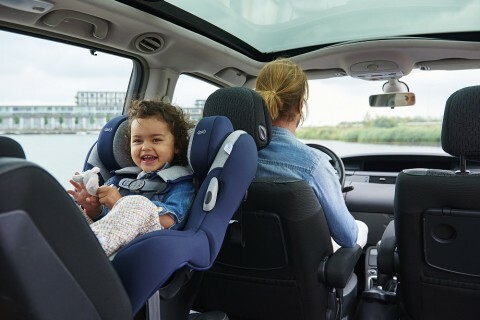 ISOFIX establishes a stable connection between the bodywork and the child seat, and minimises the risk of incorrect installation in the vehicle. Note: there is an exception for infant carrier which may have a belt routing. 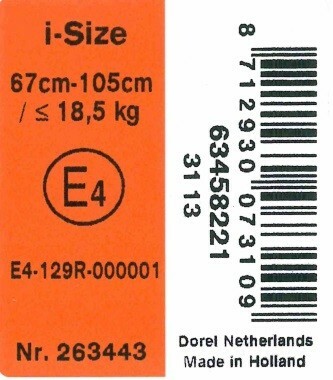 Unlike ECE R44, the internal dimensions of an i-Size seat will be specified and these dimensions will relate to the latest size data for European children. The Britax Römer Trifix i-Size conforms to the ECE R129/01 car seat regulation (i-Size) and is suitable for children from 76 cm to 105 cm tall (15 months up to approx. four years), making it the perfect follow up to your infant carrier. The Trifix i-Size not only provides optimum safety technologies, but also makes sure that children are travelling in comfort with advanced ergonomics of a good seating position and padding. Road Safety Scotland, in partnership with leading child seat specialist, Good Egg Safety, has launched a major new campaign over the summer to warn parents about potentially fatal common errors made in fitting child car seats. Images of incorrectly- fitted child seats will be released via social media and backed up by nine short videos produced in partnership with the Arnold Clark Group, to graphically demonstrate why the child seats, or the children seated within them, are unsafe. Good Egg has already issued an urgent safety alert on social media for parents in relation to incorrect routing of seatbelts through child seats, which is being found in 1 in 10 of their child seat checks across Scotland and the rest of the UK. Jan James, Good Egg Safety CEO said: 'these routing errors could mean the difference between life or death for a baby or child if they were involved in a collision, and yet, they are very simple to fix.We strongly urge parents, grandparents and all who carry children in a car, to take just two minutes to view our video. This shows why it's dangerous and how easy it is to correct it and make the seat safer." This coincides with a new programme of 50 free checking events across Scotland where parents, grandparents and carers can go for further reassurance. Previous checks in Scotland have shown that, on average, 54% of child car seats are incorrectly-fitted or incompatible with the child or the vehicle. All the new videos are set to go online as the annual Good Egg in-car child safety campaign is launched; funded by Road Safety Scotland and supported by The Arnold Clark Group, Britax Romer and Police Scotland. Michael McDonnell, Director of Road Safety Scotland, said: "Many parents would be horrified to learn their child car seats are not fitted properly and, therefore, not providing the protection their children need.This campaign seeks to highlight that, not only by raising awareness of the issue and providing advice and guidance, but it also has a very practical element in that people can check the website, find the nearest car seat clinic and get the child-seat-car combination checked by an expert. It only takes a few minutes yet could save a child's life." Superintendent Louise Blakelock of Police Scotland said, "It is absolutely essential that child safety seats are properly fitted, as the consequences of them not being so can be fatal for a young child, even in a relatively slow speed collision.We continue to work with partners to highlight the dangers and encourage parents and carers to ensure their precious passengers are properly and safely secured." George Baggley of the Scottish Fire and Rescue Service stated: "The Scottish Fire and Rescue Service would urge anyone transporting children to go along to a Good Egg car seat checking event. Once there, you can have expert advice and the reassurance that your child is safely and securely seated in the car." Eddie Hawthorne, Chief Executive & Group Managing Director of Arnold Clark, said: "It's vital that parents and carers know how to keep their little one's safe when travelling by car and we are very proud to support Good Egg and help raise awareness of potentially dangerous issues"
There have been many reports regarding the new stricter rules about booster cushions and this has caused much confusion. This new amendment to the current regulation 44 is now in effect. This means that parents who currently have booster cushions can legally continue to use them as they have been. Any new backless booster seats (booster cushion) coming to market from the 9th February 2017 will only be suitable for children above 22kg AND 125cm. Stock that was introduced before this date, will still be eligible for sale. However, we always recommend that children travel in the high back booster if they are the correct weight and height for it, and fit comfortably within the headrest. A high back booster provides additional head, neck, torso protection and side impact protection that a booster cushion does not. ​Children under 125cm in height and 22kg weight will not be allowed to use a newly type approved (R44.04 supplement 11) booster cushion, but can still use booster cushions that were approved prior to the implementation date. Otherwise, they will have to use a high back booster. 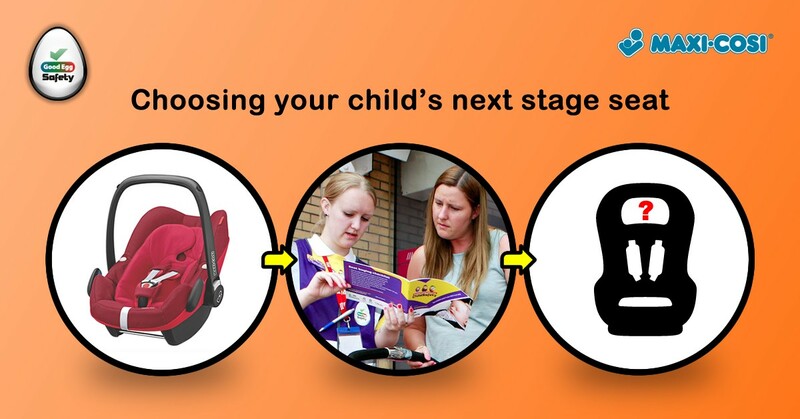 What to consider when choosing the next stage car seat? Life as a new parent comes with lots of challenges, including choosing car seats! Before you know it, your little one is starting to look a little big for his/her first stage seat. So, is it time to move up to a bigger seat? Should you choose a forward or rear-facing seat? What do you need to consider? When is the infant carrier outgrown? Firstly, check the approval sticker on your car seat (often found underneath. )This will tell you the regulation your seat is approved to and its weight and/or height limit. Most infant carriers are approved to R44/04 and classed as a group 0+. These seats have a weight limit of 13kg/29lbs. They are also outgrown when the top of your baby's head is level with the top of the seat. If you have an infant carrier approved to R129 (i-Size) then it will have a height limit, e.g. 75cm, and possibly a weight limit too. These limits are clearly marked on the seat. The infant carrier is outgrown once your child reaches the height or weight limit, whichever comes first. Don't worry about long legs over the edge, they are perfectly safe; or that your baby looks "squashed" – think of the car seat as a crash helmet, a tight fit is good. Should I choose a forward or rear-facing seat? It is safest to rear-face your child for as long as possible. This is due to their anatomy and the physics of an accident.Young children have relatively larger heads with less developed neck bones and muscles.In a frontal impact the head is thrown forwards, putting stress on the neck and spinal cord. The less developed the spine is, the greater the risk of serious injury. When rear-facing, the child's head, neck and spine are kept in alignment and the force is spread out over a greater area. Does this mean forward facing seats are dangerous? Simple answer is no. Since car seat regulations were introduced in the 1980's the number of fatally and seriously injured children has reduced. Forward facing seats do offer adequate protection as long as they are fitted and used correctly. However, rear-facing provides even better protection for your little one. 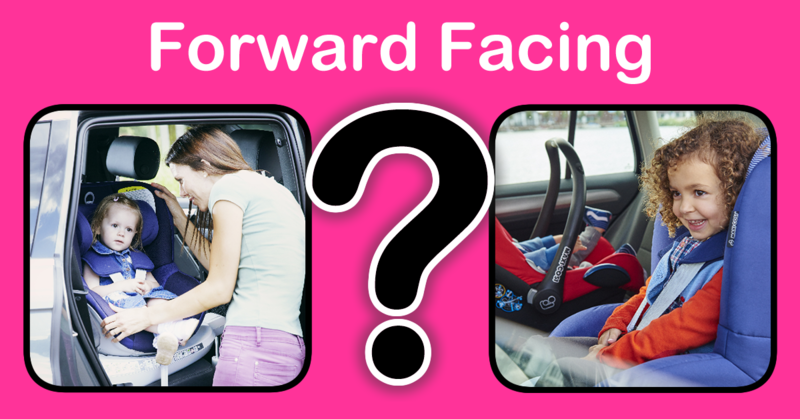 If you do decide to buy a forward facing seat it is advised to keep your child in the infant carrier until it is completely outgrown. If you have a seat approved under R44/04 then it is legal to put your child into a forward facing car seat at 9kg.However, they should be able to sit unaided for at least 30 minutes and fit the seat they are going into. If you have an i-Size seat, then legally your child must stay rear-facing until 15 months.Each i-Size seat also has a minimum height limit for forward facing. Bear in mind that the law is a minimum standard: experts recommend rear-facing up to 4 years. As school breaks approach many families will be planning holidays away which require a car journey in order to reach their destination of choice. 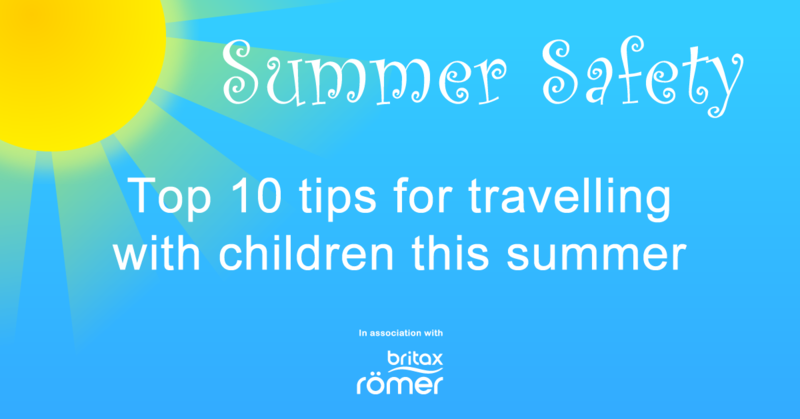 Here are our top 10 tips to make that journey as comfortable and hassle free as possible! 1. It is always important to remember the safety of older children when making a car journey. Children are legally required to use a suitable restraint up until they are 135cm in height, or 12 years old – whatever comes first. 2. Older children are safest travelling in a high-back booster seat which provides side impact protection, head, neck and torso support, as well as a safe place to rest their head to sleep, which can help prevent them falling out of the seat belt during the car journey. 3. Many car seats have additional safety features, such as protective seat belt pads, side impact protection technology and abdominal protection to provide both a safer and more comfortable fit for your older child. The handle on your baby’s car seat is more than just a convenience, it is also a very important safety device! While it makes it easy to lift your infant seat in and out of the car, it is really important to check the instructions on your child seat. Not all carry handles are placed in the same position in the car. The instructions on the side of your seat will show the correct handle position. The handle is often required to be upright, or forward towards the baby’s feet when driving. This is because your child’s seat can rebound in a collision, and having the handle in the correct position prevents this from happening. What happens if the carry handle is at the back? If you were to have a collision, with the carry handle back by the baby's head, the seat may not protect your child adequately. The seat may flip up and make contact with the vehicle seat back, which would be avoided with the handle in the correct position. This is exactly what happened to one Mum, when her husband was involved in a collision - thankfully he was OK and her little one wasn't in the car at the time.